Tarkwa Bay is one of the popular destinations Lagos can boast of. However, it is not usually at the top of the list of itinerary of tourists and fun seekers who intend to explore the centre of excellence. This is because it sits several kilometers offshore from the bustling and busy Lagos Island. Really, you missing out of unending excitement and thrill by omitting this attraction from your list. Some of the things you will enjoy include boat cruise, amazing views and of course the warm breeze of the Lagoon. Jumia Travel, the leading online travel agency, has not even mentioned the unlimited fun activities awaiting you at the Bay. This said, it is important to add that Tarkwa Bay is only accessible by boat and the cruise will take approximately 20 minutes. 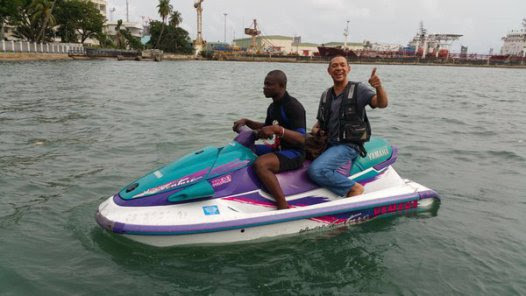 For tourists who intends to visit Tarkwa Bay, these tips will help them have an unforgettable trip. If you plan to swim at the Bay, wear your swimsuit as part of your clothes. This is because there are no changing rooms at the Bay. You can remove your clothes with only the swimsuit remaining. Only a handful of things are free at the Tarkwa Bay. One thing that you are guaranteed not to get for free are chairs and shades to relax. You have to pay. However, ensure that you do not overpay. Find out from others how much they paid if you really need these chairs. To help you cut cost and save money, it is better you go with your own foods and drinks. You do not need to patronise the vendors at the beach because it may be expensive. Do not forget your towels, sunscreen, floating pads, and balls. They are accessories to enhance and make your trip more enthralling. Have fun!